I got a short technical error at interest FRS rates last time. But it was my first time for the year since I`ve been working with this trader. I never lose any news from them. When i worked with over trader, i often couldn`t enter the market, so i bet, liqudity providers have mistakes not only here. 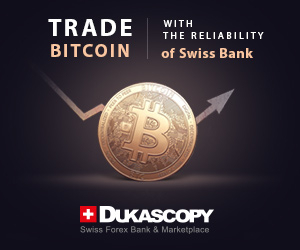 Overall the company is normal, they do`t have any problems with withdrawals and they compensate the commission. I got a short technical error at interest FRS rates last time. But it was my first time for the year since I’ve been working with this trader. I never lose any news from them. When I worked with other trader, I often couldn’t enter the market, so I bet, liquidity providers have mistakes not only here. Overall the company is normal, they do’t have any problems with withdrawals and they compensate the commission. I’ve been trading with this broker for a long time and I don’t have any problem with it. I think the technical overlays happen to all who works in this niche. Spreads on ECN accounts are almost zero, I’m happy, they have all the conditions for scalping. but lite forex has an office in my country so if I have any problem I think the best and the right thing is for me to go their office since its not too far from my resident. where is lite fx office in pakistan? Lite forex is a good company i am trading in this platform. Recently they have removed the coupon feature i think they must bring it back.It was really helpful for small investors. Best thing is that Recently they have added Official Pakistani Representative. Now we can contact this respresentative in Pakistan and can deposit money through it. but i do not like any promotions that seems to help with deposit bonus but in fact it can only raise our margin use for trading but it can not use for cover loss, seems useless right? liteforex promotional schemes are very good……….right now they are reimbursing commissions from payment system QIWI wallet and many more, apart from that i like their flexible payment systems……. best thing i like bout liteforex is their quick and easy payment systems…recently they have introduced “Egopay” which makes them more versatile…. I one tried their terminal, but i feel that it id good as a broker, but did not feel anything special. They also had a paid to post in forum bonus option which i participated earlier, but i was unknown of the fact that we have to invest equal amount of money as what we want to get from posting bonus for trading. Rather than that, i think this broker is pretty decent, though i feel there are other brokers which provides better features and smoothness. Excellent support…..best brokers in forex. I’ve became lite clients since 2008. Its good broker.. TRUST ME!! I only trade with this broker on demo account for few months, the orders is processed very fast and support is also good, so plan to open real account. Before that, I searched around and found many complains so not yet decide! 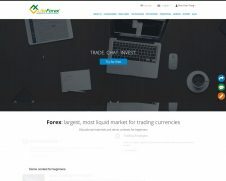 I first joined liteforex a few years back and enjoyed their services and was quite happy with trading there but about a month ago I decided to deposit funds and trade. Well it has changed to the worst and I honestly have it in my never-trade list. Mt4 connection was always slow and alot of disconnections which was not from my side having high speed internet. Orders took over 1-3 minutes to execute when finally when it did I would either get an error or requote or have a big negative position which is hard to scalp. I finally quit liteforex and would never recommend it to anyone of my friends. In my opinion one the brokers that really should fix their problems but again for all we know if could happening intentionally. You got slow and worse on your metatrader4 in ranges month of january 2012. I’m pretty remember that on those range of month, Liteforex get trouble with their servers. Exactly, a lot of trader complained to the liteforex. Liteforex is very have responsibility to their clients…. I think, it’s So nice and very fair broker..